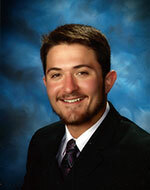 Ryan A. Ricer - Awarded the Angelo S. and Carolyn Arena Petitto Memorial Scholarship of $1000. Ryan graduated from Fairmont Senior High School and plans to attend Marshall University majoring in Sports Management & Business. 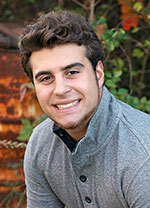 Ross A. Marra - Awarded the Harry Green 7 Acres Scholarship of $500. He graduated from Bridgeport High School and plans to attend University of South Carolina. 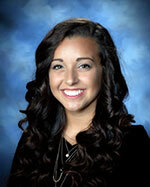 Marlee E. Angelucci - Awarded the Mary L. "Weege" Vargo Scholarship in memory of Margaret Devono Vargo of $250. He graduated from North Marion High School and plans to attend West Virginia Wesleyan College majoring in Exercise Physiology. 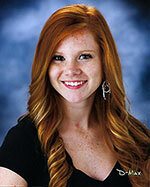 Stephanie M. Fike - Awarded the Nancy Davisson Memorial Scholarship of $500. She graduated from Central Catholic High School and plans to attend West Virginia University majoring in Elementary Education. Claire M. Craig - Awarded the West Virginia Italian Heritage Festival Board of Directors Scholarship of $500. 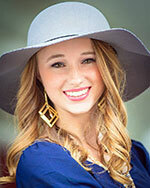 She graduated from Fairmont Senior High School and plans to attend West Virginia University majoring in Business. 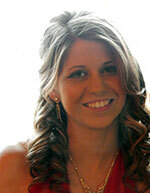 Jennifer L. Tassos - Awarded the Rose Mary "Wizzie" Brunetti Memorial Scholarship $250. She currently attends Fairmont State University majoring in Exercise Science. Claire M. Craig - Awarded the Margaret and Joe Robert Spatafore Scholarship of $500. He graduated from Fairmont Senior High School and plans to attend West Virginia University majoring in Business. 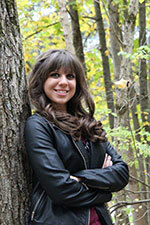 Jennifer L. Tassos - Awarded the Frank and Josephine Roncone Scholarship of $500. She graduated from North Marion High School and plans to attend West Virginia University majoring in Athletic Training. Winning applicants will be notified in May. Scholarships will be presented at each student's award ceremony and will be recognized during the WVIHF VIP Brunch & Award Ceremony. This scholarship application is restricted for West Virginia residents of Italian descent. High school seniors, undergraduates and graduates may apply and will be considered for ALL available scholarships. THIS APPLICATION MUST BE POSTMARKED NO LATER THAN MARCH 1, 2019. Registration fee: $10.00 payable to WVIHF Scholarship Program. Sealed official transcript (1 copy) attached to application. Letter of acceptance to college or graduate school for high school & college seniors only. Names and addresses of your school newspaper and two (if possible) of your hometown newspapers. One photo which, will be sent to the media if you are selected to receive a scholarship. The photo should be a head and shoulder shot in color or black and white. The photo cannot be returned.